Gospel for Asia Part 2. God has opened the door for me to pray for and support a native missionary in India. I have felt the power of the Holy Spirit fill me to overflowing from this step of faith. I sat down and figured my budget. After my tithes to my church(Calvary Chapel Knoxville, http://www.calvaryknoxville.org) and paying bills, God has shown me how to cut some expenses so I can be spiritually blessed by supporting the work of Gospel for Asia, http://gfa.org. I ask for you to prayerfully consider the possibilities of partnering with GFA. If you are unable to sponsor a missionary at this time, consider a one-time gift in bibles, tracts, animals for food, radios, blankets, and many other tools needed to support a missionary and his church. You will be blessed. 100% donations received by donors goes directly into to those in need of support. Administrative costs at GFA are amazingly enough supported by those working at GFA. Those working at the offices of GFA raise their own support. 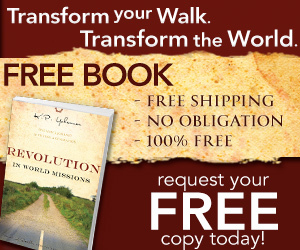 You can rest assured all monies donated go directly into the mission field. God has his own timing and sees a lot more in clarity than I. So in order to see the best outcome, wait on the Lord and put on the eternal perspective. 3 Then Esther went again before the king, falling down at his feet and begging him with tears to stop the evil plot devised by Haman the Agagite against the Jews. Just like Esther, thousands of us went before the Lord in unified prayer for our country. Now watch and see what God will do for us as result of us communicated to our King. If you cannot physically go to another country, then I ask you to pray to see how God can use you to bless missionaries in other countries. Gospel for Asia is an Christian organization which trains native missionaries to share the saving power of Jesus Christ to their own people. Look for ways you can help spread the gospel. You can recycle soda cans, sell you music CD’s, pawn some jewelry, and many other ways. Please pray for God to guide you in supporting missionaries around the world. Today I will let another political expert have the platform today. This is a very good article. Big tent means anyone is welcome as long as they abide by the rules defined by the Republican platform. Too many have tried to change the platform to appease everyone. This article also works in the Christian faith. All our welcome to come to church, yet must respect what God has established in his Word, the Bible. No matter who you are, you are welcome to enter. Understand however, do not try to change the Bible or the church you attend to conform to your lifestyle, sinful pleasure, etc. God has a reason for what he writes in his Word. Yet, he welcomes you to his table, just don’t try to take over God’s CEO position. While this article link is political in nature, it can also be said of the Christian faith.